The committee of NBA owners voted to proceed with efforts to force the sale of the Los Angeles Clippers following Donald Sterling’s racist row. Clippers owner Donald Sterling was banned from the sport for life this week after he was recorded making racist remarks. The 10-member NBA advisory committee met on Thursday and unanimously agreed to move forward in the process of terminating Donald Sterling’s ownership. A number of celebrities have expressed interest in purchasing the sports team. “The committee unanimously agreed to move forward as expeditiously as possible and will reconvene next week,” said NBA executive vice president Mike Bass. A forced sale of the LA Clippers would require the approval of three-quarters of the 30 team owners in the NBA. 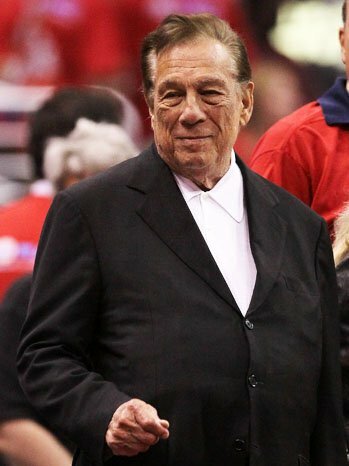 However, Donald Sterling could oppose the sale in the courts, according to sports lawyers. Oprah Winfrey, media executive David Geffen and boxing legend Floyd Mayweather have been among those touted as prospective buyers. Another casualty of the row emerged on Thursday evening, when the president of the Los Angeles chapter of the National Association for the Advancement of Colored People (NAACP) resigned. Leon Jenkins had intended to present Donald Sterling with a “lifetime achievement award” later this month, a move he withdrew after the recording emerged in which the Clippers owner made racist comments. In the 10-minute audio recording, Donald Sterling can be heard criticizing his girlfriend V. Stiviano for posting online photographs of herself with black friends at Clippers games. “It bothers me a lot that you want to broadcast that you are associating with black people. Do you have to?” the man says. On Tuesday, NBA commissioner Adam Silver said Donald Sterling had acknowledged it was his voice on the recording. It was not clear how or when the conversation was recorded. Adam Silver subsequently announced Donald Sterling’s expulsion from the NBA along with a $2.5 million, the maximum allowed. Donald Sterling’s remarks caused an immediate uproar in Los Angeles and among basketball fans across the country. The Clippers are competing in the first round of the NBA playoffs, drawing extra scrutiny to the incident. Team coach Doc Rivers later said the lifetime ban and fine for Donald Sterling was the “start of a healing process”.